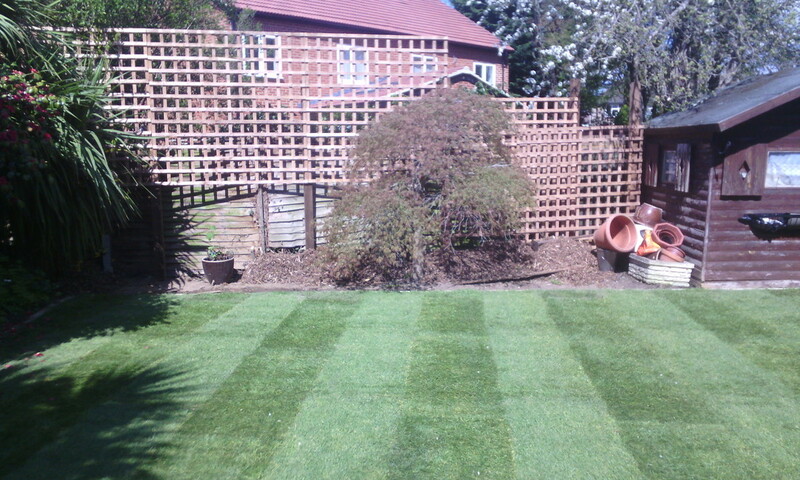 Turfing & Lawn services across Buckinghamshire including High Wycombe & Aylesbury. There are literally hundreds of square miles of lawns across the gardens of Britain. They are easy to maintain, have a multitude of uses and look great. A freshly cut lawn in summer gives a very rewarding feeling of tidiness and satisfaction. The pursuit of a perfect lawn can lead some of us to rather industriousness routines and tentative regimes. Keeping a lawn healthy and happy however is not a science. As long as you have some fundamental things most lawns thrive with ease. Most lawns like drainage, if your lawn is well drained you have minimal chance of compaction and moss dominating. Drainage can be increased by processes such as scarification. Scarifying involves coring out thousands of small holes and filling with sharp sand, this also gives oxygen to the roots of the grass. In extreme circumstances where drainage is a real problem drainage channels and soak aways can be installed, our experts can advise you here. When installing a new lawn there are two options seeding or laying new lawn turf. Although seeding can be a very effective way to create a new lawn it is less instant and can suffer infiltration by weeds. 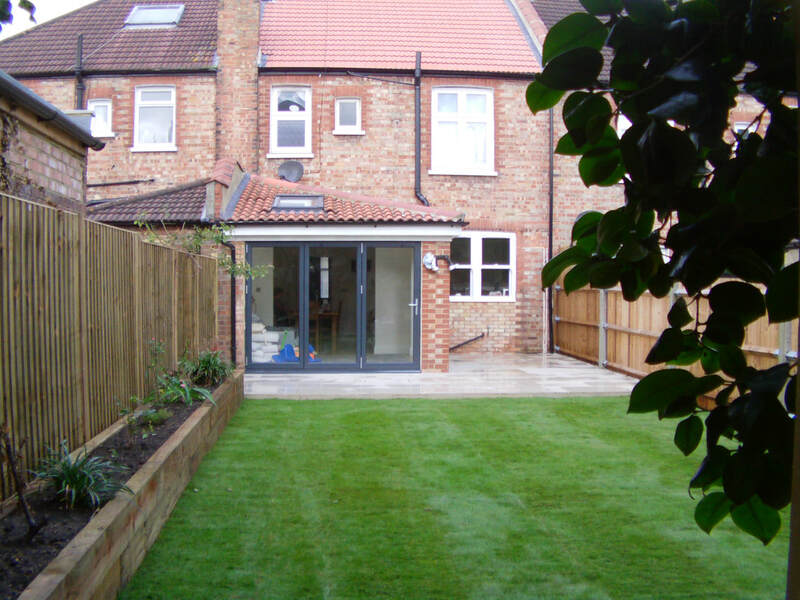 We always recommend laying fresh lawn turf to our clients ensuring an instant easy solution. When laying turf there are two main choices for ground preparation. The first is to rotovate the ground with a rotovator, rake the ground to a fine tilth and lay the new lawn. The second way to lay a new lawn is to level the existing ground, spread a 1 inch layer of free draining humus rich loam, level and laying the turf. 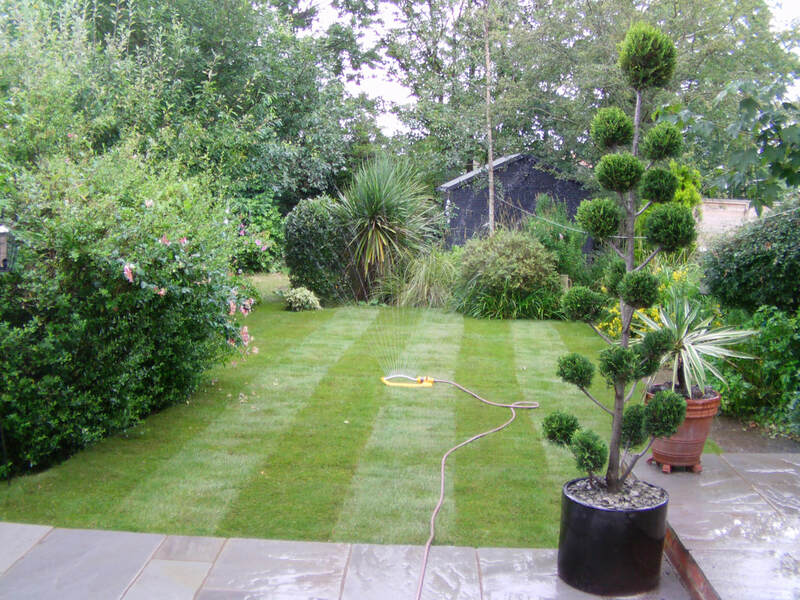 Buckinghamshire landscape gardeners can advise you on the best solutions for installing a new lawn in your garden. 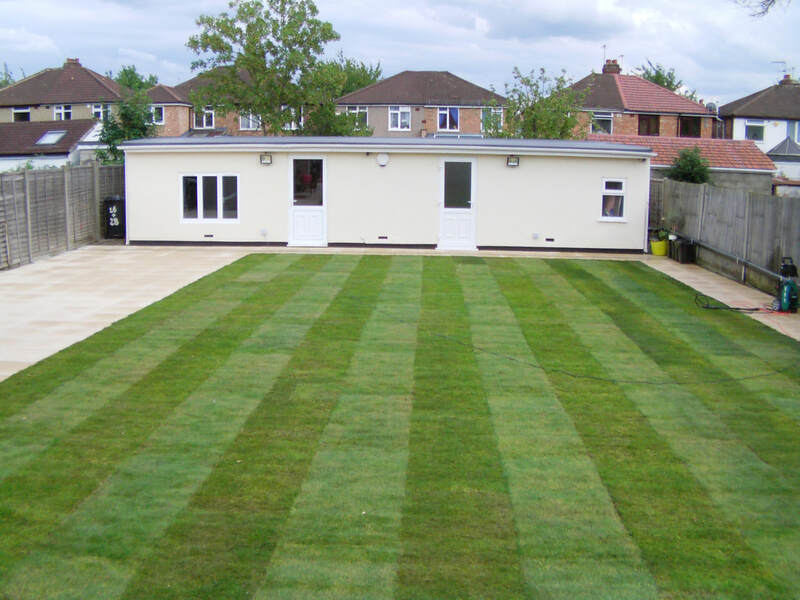 Please do not hesitate to ask us the best method to install a new lawn in your garden.